The goal of social justice advocacy is to shape government decision-making to improve the well-being of people. Success requires a strategy to influence government policies, laws, operational practices. And the lowest bar for measuring success is decisions that at least meet the minimum human rights standards set by our constitution and by international human rights law. NGOs play an important role in monitoring the actions of governments and pressuring them to act in accordance with their human rights commitments and obligations. In Canada, NGOs as well as Indigenous peoples governments, often rely on appearances before parliamentary committees to get their message out to government members, opposition parties and the public on important matters of policy including human rights. Three are 27 House of Commons committees and 3 joint committees. See here for information about each. On the Senate side there are 17 standing committees. In addition are several special and joint committees (list here). By putting some time into preparation, there is much an NGO or Indigenous peoples government can do to maximize the impact of an appearance before a parliamentary committee. Testifying before a parliamentary committee on a proposed Bill is an important part of legislative development and allows social justice advocates the opportunity to directly engage with lawmakers. Here are some basic tips on using the parliamentary committee process to support your organization’s advocacy strategy. Tip #1: Consider the different functions of parliamentary committees and how these can support your organization’s advocacy goals. You may request to comment on government accountability in spending of public funds in areas of public policy that concern your organization. The ministers responsible for individual departments regularly appear before the relevant committee to answer questions about their management of public funds in their areas of responsibility. Committees will meet privately (in camera) to decide who they will hear from before publicly launching a study of a bill or other public policy matter. Typically the chair and a representative of each party sitting on the committee will seek suggestions from the clerk and committee research officer supporting that committee and each party will propose a list of experts or other witnesses they feel important to the study. However you do not need special qualifications to appear. Individual citizens can appear as well as make written submissions. Information for witnesses and how to apply to be a witness is available on the House of Commons website. The more your organization has recognized expertise in the area under study, or the more it is evident your organization’s constituency is impacted by a proposed government decision, the greater your chances of success. You can ask government or opposition members to include your organization in their list and ask that they advocate for you in the in camera committee meeting. There’s no guarantee but it doesn’t hurt to be a squeaky wheel, or simply get on people’s radar. On government bills and other matters, the responsible Minister and senior government officials will be the first witnesses. Keep in mind that with highly contentious matters of public policy, you may have a lot of competition. There are restrictions on the time available to committees to hold hearings, often leads to people being disappointed. This is why understanding the committee process is important. In the case of Senate committees, a steering group with representation from party caucuses and the Independent Senators Group will meet to discuss and determine witness list. Opening lines of communication with government and opposition members is one way to stay in the loop and express your interest in appearing. If you are asked to appear, be prepared to find yourself part of a panel of witnesses with similar interests. In the end, the committee itself makes a final determination as to who they will hear from. There is no right of a citizen or an NGO to be heard. There are however certain very practical policy and human rights considerations in respect to matters impacting the rights of indigenous peoples that should be taken into account by committees in considering their requests to appear because of Canada’s constitutional and international human rights obligations to Indigenous peoples. If you live outside of Ottawa or the location where the committee is holding a hearing, the committee will pay for your travel expenses (e.g. airfare, hotel, food per diem) in accordance with Treasury Board guidelines. If your brief is written only in English or only in French, you cannot distribute it directly to MPs. However you may provide your brief to the clerk of the committee for translation at a later date. With sufficient planning you may be able to submit your brief to the clerk of theCommittee for translation prior to your appearance. You would need to consult with the clerk in advance to ensure you know the timeline required for your brief to be translated in advance of your appearance. Keep in mind committees often offer the option of a video of appearance if you were not able to travel to the site of the committee hearing. Tip # 4: Be aware of the rules applying to your appearance and use them to ensure your appearance has impact in an environment of information overload. Parliamentarians have many responsibilities. Committee hearings are only part of that scene. If you have been asked to appear, the Clerk will send you guidelines which you should review carefully. The Committee Chair will make every effort to strictly enforce time limits for speaking (by witnesses and by Members asking questions). These are set by the Committee’s standing orders. Witnesses usually have 7 to 10 minutes for an oral presentation – make the most of your time by preparing an impactful set of speaking notes that highlight key points and recommendations. In a world of information overload, being concise and clear and pragmatic in your recommendations will have an impact. Don’t just talk about what’s wrong with government policy focus on clear specific actions or decisions the government can take to remedy the problem you are focused on. You can leave behind a longer brief for circulation to the committee members. Be prepared for the round of questioning by the MPs or Senators that follows statements by witnesses. Don’t pin your hopes on having a determinative impact by your committee appearance. 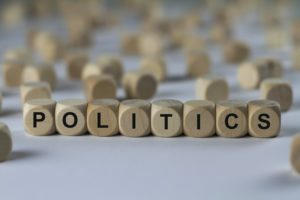 Your advocacy strategy should include policy and advocacy work at each step of a legislative or policy development process – write-in campaigns, meetings with Ministers, social media and communications strategies, forming coalitions with like-minded groups. Tip #4: Appearing before a committee provides an opportunity to speak directly to parliamentarians and connect with them formally and informally. Before and after the formal committee proceedings and during breaks, there are often opportunities to connect directly with members of parliament and their staff. This can offer a few minutes to network and build relationships. Be respectful of the Members time. Provide a card to the Member and his or her staff. Tip #5: Appearing before a committee is a great way to get public exposure and a record of your advocacy. Appearing before a committee is a great way to get public exposure and a public record of your advocacy that can be shared through social media. Within a day or two of your appearance, you can access the parliamentary website for the committee and upload a video link of your appearance or the link to the written transcript of evidence (published in Hansard). So, these are a few of the advantages of including Parliamentary Committees in your advocacy strategy. A great place to start developing some familiarity is the Parliamentary webpage for committees in your areas of interest, and your local MP should be able to answer questions about process and procedure. Tip #6: Don’t assume all MPs and Senators are well versed in human rights or any particular aspect of social justice advocacy. MPs and Senators come from all walks of life. Even those with a background in law do not necessarily have a deep understanding of human rights law or policy issues. While your presentation should focus on the key points important to your organization, be prepared to explain issues or points that may seem very fundamental to you. A question is an opportunity to educate and raise awareness. Above all, having a strategy to increase your chances of being heard, and afterwards for following up with other advocacy activities, are important to maximize your impact.